The Earned Income Tax Credit (EITC) provides financial assistance to low-income working families. It was introduced in 1975 and expanded in legislation in 1986, 1990, 1993, and 2009. 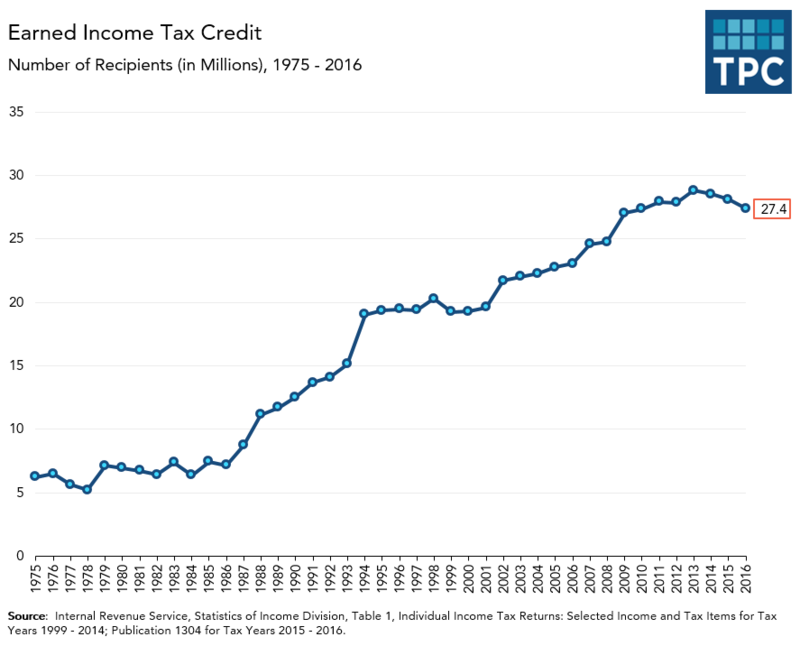 The number of recipients has increased from 6.2 million in 1975 to 27.4 million in 2016.